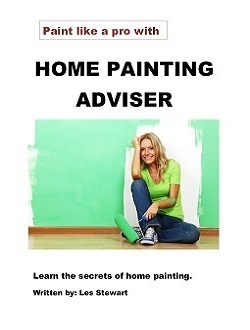 The Home Painting Adviser is a great book for everyone who wants to do home painting on their own with professional results. It is written by a great expert on painting who lived in Los Angeles. The information this book contains based on long years of experience of painting magnificent homes and mansions of affluent people and celebrities. This book describes painting in details for people with no experience at all. It contains safety precautions, how to assess a job, how to choose colors, how to make a precise masking and covering, what tools and materials to use exactly for each work process. This book explains how to paint a ceiling or different kind of doors and much much more. In an easy to read form with many pictures and illustrations, also print out forms to help you to do efficient shopping to minimize unnecessary trips to the paint store. This book is like having a professional painter as a friend who answers all your questions! Painting is a very useful skill for everybody, with longtime benefits. Don´t waste time, order now and start your painting project soon! Save money by doing painting yourself.